Rebecca Sloan, 33, was unconscious and badly burned when firefighters rescued her from the second floor of her burning home last week. 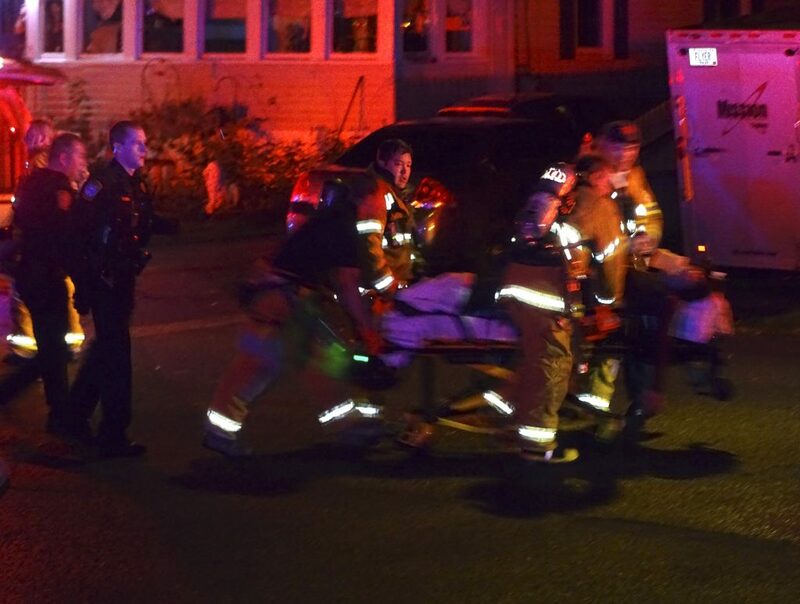 The 33-year-old woman who was badly injured in a house fire on Kincaid Street in South Portland last week was listed in serious condition Monday night at Maine Medical Center. Rebecca Sloan was pulled from the burning home shortly after the fire was reported at 11:25 p.m. Wednesday. While most of the family got out of the house safely, a group of five firefighters rushed into the house and searched the smoke-filled second-floor bedrooms for Sloan. A firefighter found Sloan’s bedroom but couldn’t open the door because she was lying against it. With heat and smoke pouring out of the room and flames spreading across the ceiling into the hallway, the firefighter, Hale Fitzgerald, managed to pull the woman away from the door and then out of the room and down the hallway as the fire spread. Sloan was unconscious and badly burned when firefighters got her into an ambulance and rushed her to the Portland hospital, where she has remained since the blaze. The State Fire Marshal’s Office continues to investigate the fire, and is waiting for Sloan’s condition to improve so they can interview her about what happened. Sloan was found in the room where most of the fire was burning. Her rescue took only minutes, according to some of the firefighters who participated in it. After the rescue, firefighters quickly extinguished the fire. While fire crews were able to contain the fire to the upper floors, smoke and water damage rendered the home uninhabitable.